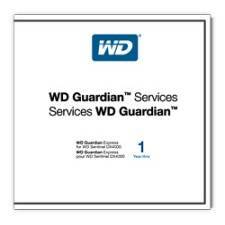 WD Guardian Express is ideal for users who want to protect their hardware investment with next business day parts replacement. This plan is ideal for users who already have an in-house IT expert and only require basic hardware support and expedited replacement of parts from the WD customer service team. Available in one or three year plans, WD Guardian Express is ideal for users who want to protect their hardware investment with next business day parts replacement. This plan is ideal for users who already have an in-house IT expert and only require basic hardware support and expedited replacement of parts from the WD customer service team.